You can buy DRAKON Book I: THE SIEVE Kindle Edition, in Amazon for $ 0.99. Do not be fooled. The Sieve, Book 1 of 4 of the Drakon epic fantasy series, is the tale of twelve-year old Da-Ren but this is not a young-adult series. Your children shouldn’t read it until they’re children no more. On his thirty-second year Da-Ren arrives on the island of the Castlemonastery to redeem the lives of his wife and daughter. His only offering is a jar of honey. He is born in a pagan tribe, north of the Blackvein River, a leader of fierce men who dream only of the story they’ll take to the stars and who kneel only in front of the longskull witches. For years the monks will transcribe his words, a brutal yet poetic first-person narrative of war, death and love. The ink will flow brown for his childhood, black for the tribe, red for the campaign, and blue for his metamorphosis. It is a story that reads like fantasy though its most unbelievable moments are based on historical events and actual tribes. This is a hard-fantasy novel where man is the only monster and the human spirit fights against superstition and racial hatred. Will it prevail? At what price? C.A. 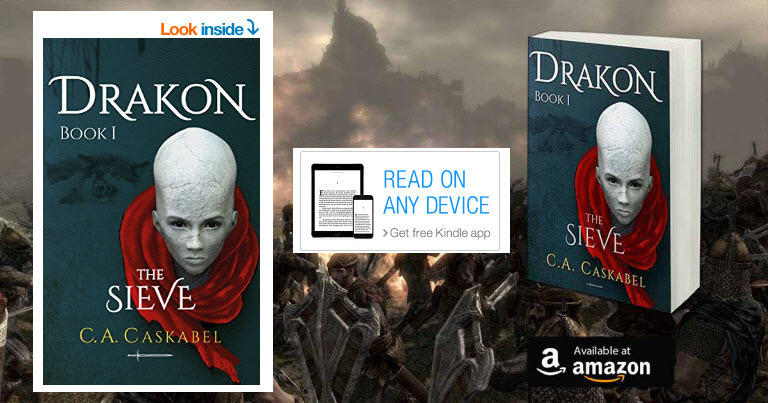 Caskabel started writing Drakon in 2013 and completed the 350,000-word epic series in 2016. He plans to release the books gradually in 2016 and 2017 while he researches and writes his next series. He also works with a passionate small team that publishes primarily children’s fiction and fantasy fiction. Prior to 2013, Chris was a serial technology entrepreneur. He has founded and led a number of start-ups in businesses such as digital marketing and renewable energy. 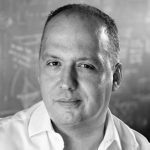 He has led creative departments, marketing, and software product organizations in New York, San Francisco, London, and Athens. He holds a BSc and a BA from Brown University and a PhD in Engineering from Boston University.